It used to be hard to find gluten-free bread recipes; now the problem is choosing from so many. Here’s a short list of five hot, hot, hot recipes I came up with after doing some research. I like the variety–from French bread and Paleo bread, to sandwich bread. For all of you newly diagnosed readers and mothers and fathers of children who woke up yesterday and learned that you or your loved one cannot tolerate gluten, let me tell you. This is a better time to give up gluten than ever before. Your choices are abundant–and expanding daily. The recipe is also dairy- and rice-free. It incorporates sorghum flour, tapioca or potato starch, and xanthan gum, among other ingredients. This recipe by Aaron Atkinson on Allrecipes has a 4.5-star rating based on 146 reviews. It includes xanthan gum, rice flour, and soy flour, all of which he notes can be easily found in local health food stores. Erika posted this on the A Little Insanity blog, with a link to a vegan version of it. The recipe includes her own proprietary flour mix, honey, and apple cider vinegar. 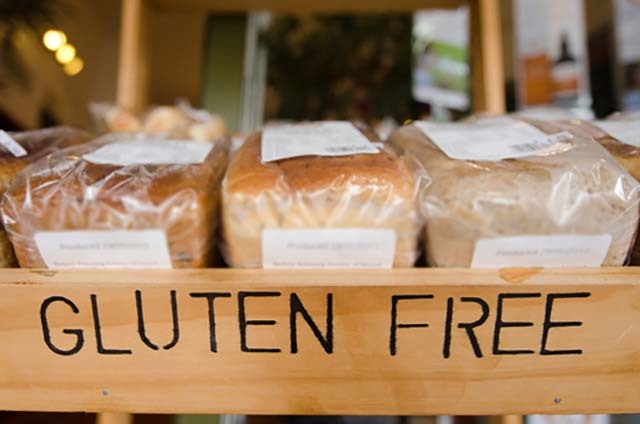 Gluten-free isn’t necessarily healthy, especially when it comes to bread. Here’s a gluten-free bread recipe, made of high protein ingredients that won’t leave you dragging. The recipe has almond flour, coconut flour, flaxmeal, and more, and it does not require a bread machine. I found this recipe on Linda Etherton’s Gluten-Free Homemaker blog. It counts sorghum flour, egg whites, and cider vinegar among its ingredients. What’s your favorite gluten-free bread recipe?